My boots experienced a “Rapid Unscheduled Disassembly” with almost two miles remaining in the 11+ mile El Cajon Mountain hike last week. The trail running shoes that I’ve been using the last few years are beyond repair and are officially retired. I thought hiking wasn’t in the cards this week. Jesse popped in Friday night asking if I was in for another Sunrise Saturday. I immediately said I was out knowing the state of my footwear. 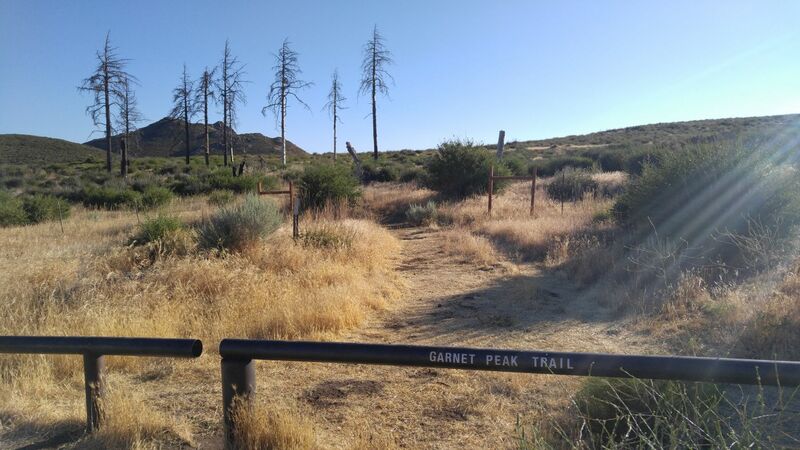 Knowing the local area hikes very well, he suggested a short hike to Garnet Peak. He said it’s approximately two miles and doable in flip flops. 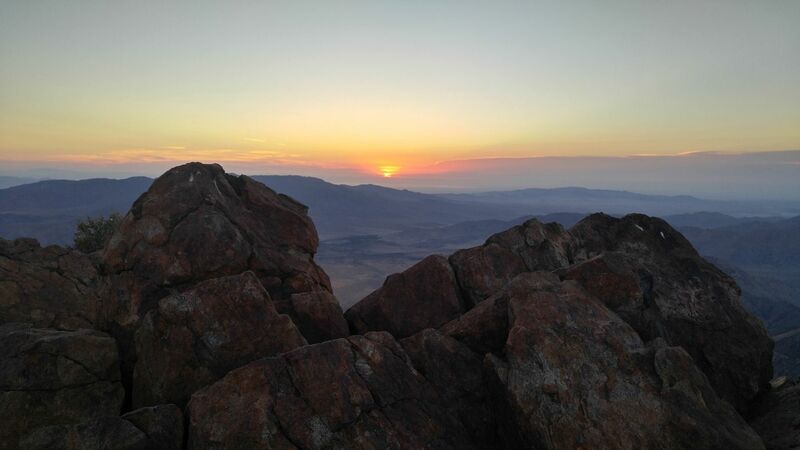 I welcomed a short hike with a huge payoff at the end of the trail so we decided on a sunrise hike to Garnet Peak. Quick calculations determined we would have to leave by 4:40 to catch the 5:50 sunrise the next morning. After waking up at 4am to prep for the hike, we were off to the Cleveland National Forest. Getting ready for a sunrise hike today. Short hike to catch the sunrise. Hope to capture some decent photos. As you can see, it a pretty straightforward hike to the summit of Garnet Peak. 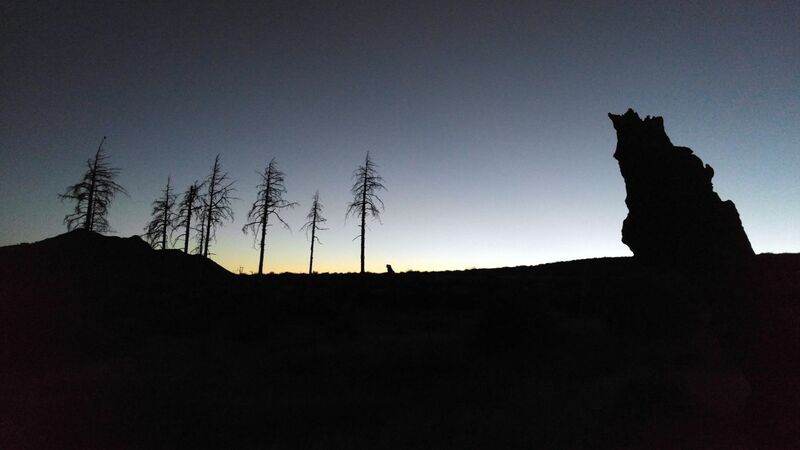 If you look closely at the top of the tree on the left… that’s an owl. We heard it immediately after we stepped out of the car. It was perched there for a few minutes before gliding silently past us. What a beautiful sight! Owls are truly amazing creatures. We went through a thermos full of coffee at the summit and talked about this amazing place for about an hour. Surprisingly, we didn’t see anyone else during the hike. 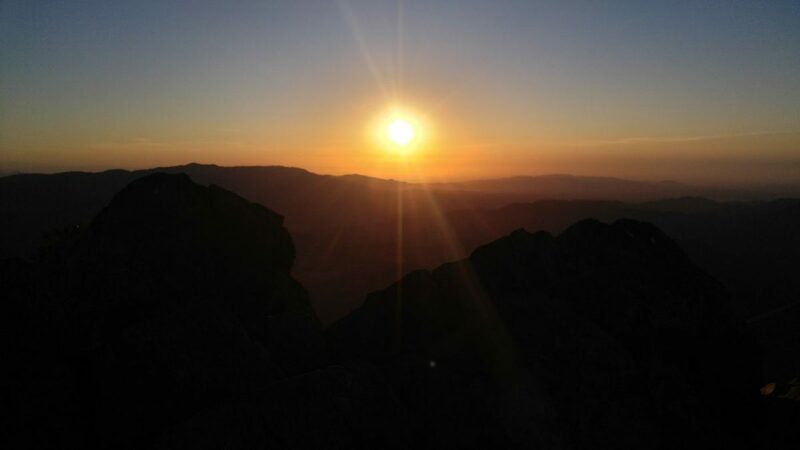 This time at the summit, I fired up Periscope to capture the sunrise and share it with others. It’s about 10 minutes long. I wasn’t going to make it that long but people kept joining the live feed and commenting on the view so I left it open and just took it in. The twitter embeded video is in the Tweet below but the actual link to the Periscope video is much better. It is full width and includes the comments displayed during the live broadcast along with some audio.